1. Freeze internal ink counters. 2. Reset internal ink counters even with empty cartridges. 3. Resetting of protection counter (even then it is already full). 4. Separate cleaning of colour and black heads for all Epson inkjet printers, powerful cleaning mode. 5. Reset or rewrite any chip using special addon device. 6. Hot swapping of cartridges supported. SSC Serve v 4.30 software works under Windows 95, windows 98, windows ME, windows 2K2, windows XP with both the LPT and USB printers. This is free software project. * Select your epson printers type if Your printer is unsupported, if no I suggest you to use adjustment program resetter (adjprog.exe) for printer epson. you can search in Google use keyword “adjustment program” or “adjprog.exe”. * You can be accessed by right clicking on the application icon located in tray. 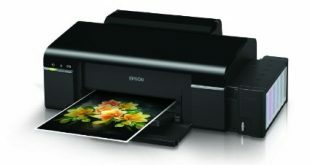 That nice but my printer epson picture mate 100 was not on the list and i dont know how to find a solution to put the counter on zero.thanks too help.